Home / Shop / Small Animals / Aquarium Stands / TitanEze Aquarium Stand 29 Gal. 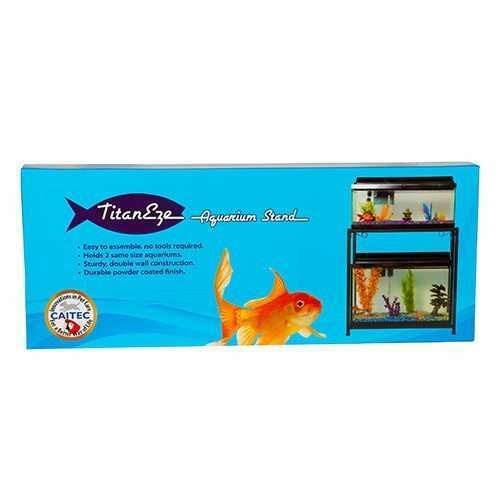 TitanEze Aquarium Stand 29 Gal. TitanEze is the only fully knock-down aquarium stand in the pet industry. Its powder coated to resist rust and water damage. May be used in the home, office, classroom or lab.Will hold aquariums which support fish, reptiles, amphibians or small animals. Easy assembly, no tools required, can be done in a matter of minutes. When not in use it can be stored in a minimum amount of space. TitanEze Aquarium Stand 30 Gal. TitanEze Aquarium Stand 55 Gal. Titaneze Aquarium Stand 10 Gal.